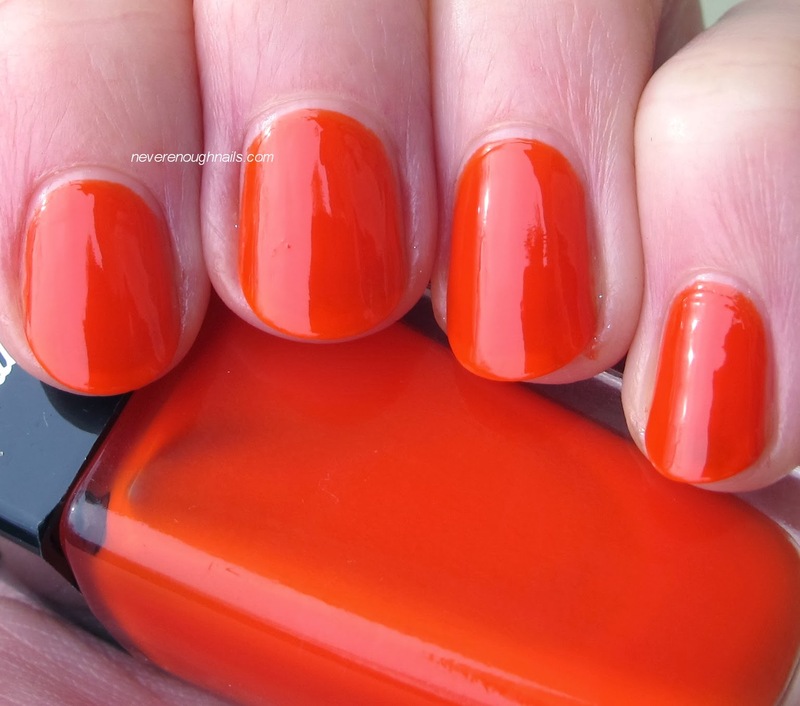 Never Enough Nails: Two More Sally Hansen Triple Shine Polishes! Now this is what I was looking for in a Triple Shine polish! 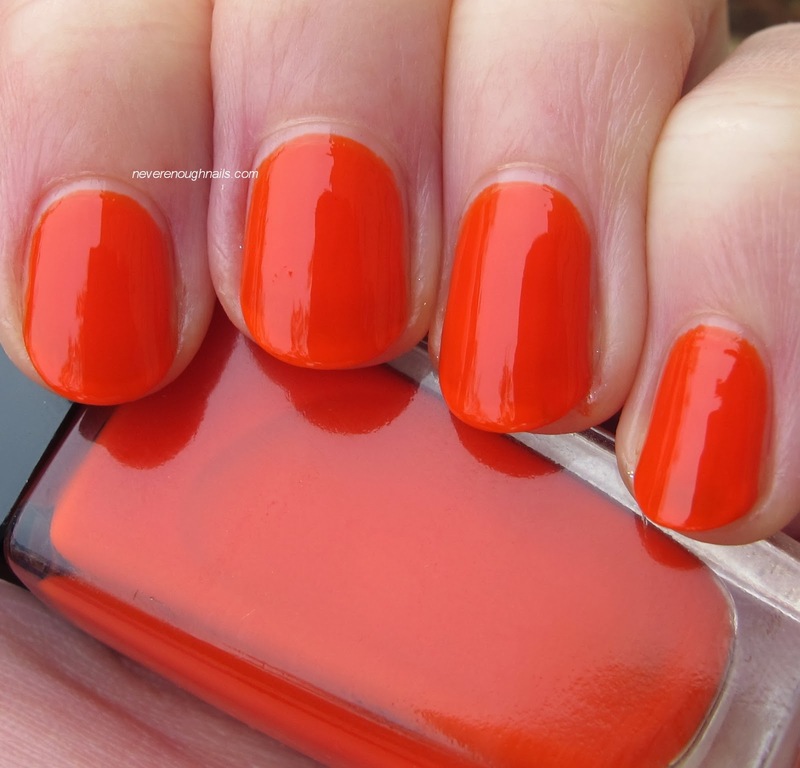 This juicy treat is Sally Hansen Play Koi, a gorgeous succulent slightly red tinged orange. 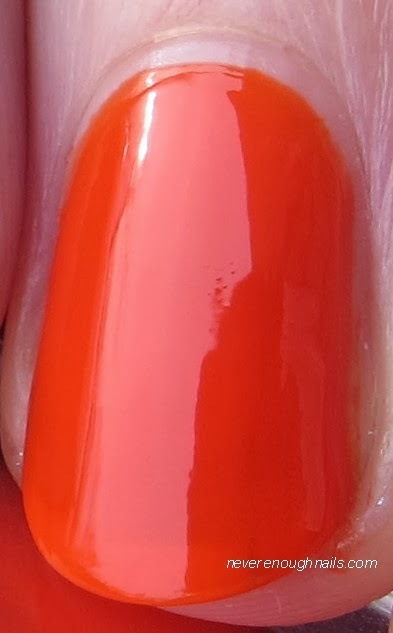 Play Koi is a crelly for sure, there was still some VNL, but it totally works with this color. The squishiness just makes it look so juicy and delicious. These swatches are with no top coat at all, so I think you can see the shine in this polish has definitely been tripled! This is three coats of Play Koi, it was still a bit too see through at two, but again, the crelly-ness works here and seems intentional. The formula was excellent, so easy to apply. Once you get the hang of the large, flat brush, I find it to cover the whole nail so quickly. It does take some practice though. 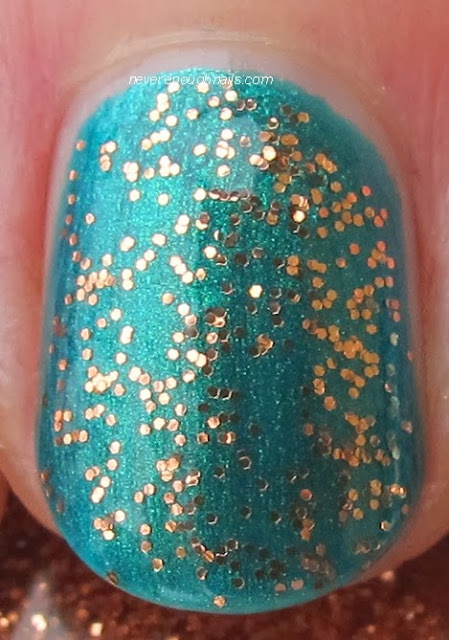 Next up we have Sally Hansen Dream Sequins, a copper glitter in a clear base. Like Fanta-Sea, I wanted this to be full coverage, but it really isn't. 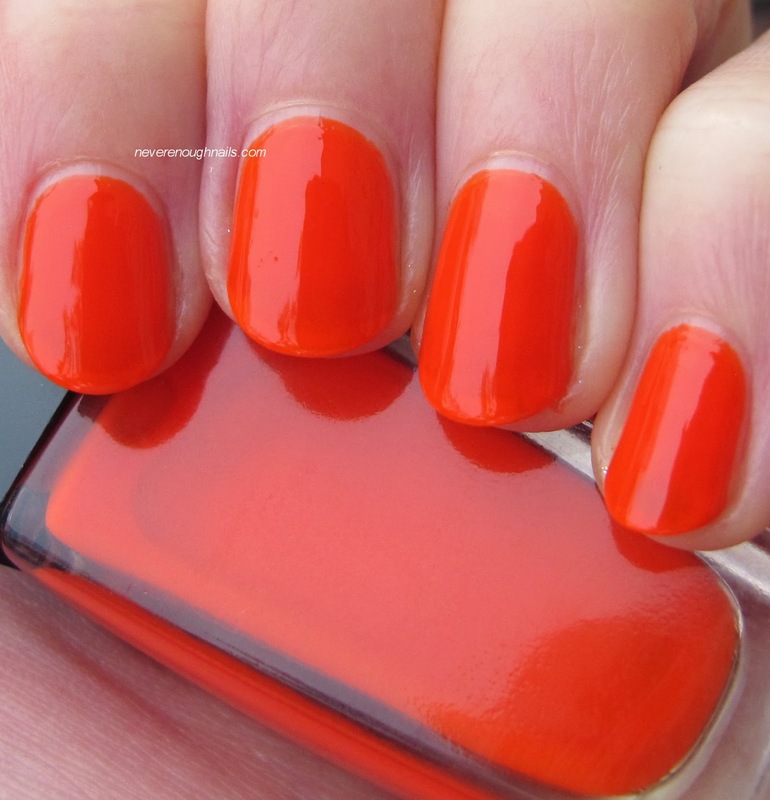 It is a lovely layering polish though, especially for the holidays coming up. I layered it over Sally Hansen Emerald Express. I did want to show you Dream Sequins alone, that is four coats on my index finger. The other nails are two coats over two coats of Emerald Express. Dream Sequins applied well, it just never built up very much. These shots are all with no top coat, but like I said with Fanta-Sea, it's hard to tell if glitters are really shinier than usual. So I think my advice for the Sally Hansen Triple Shine collection would be to buy any of the brights you have your eye on. This formula seems like it really "shines" in a nice bright crelly. I wouldn't really say the glitters are a must have, unless you totally love the color of one of them. I am personally going to check out some of the brights myself, as I do really like the formula. The Sally Hansen Triple Shine collection is available now at drugstores and mass retailers for $4.99.